Tag Archive What is AWS CERTIFICATION? Posts tagged "What is AWS CERTIFICATION?" 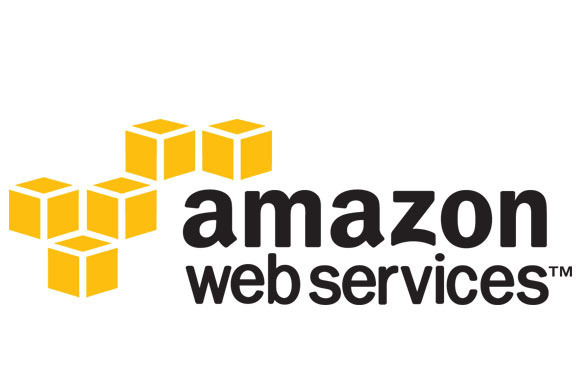 AWS certifications (Amazon Web Services) validate cloud expertise for an IT professional. They pass AWS exams offered by public cloud providers. Companies shifting their workload to the public cloud platform to increase their productivity in minimum cost, so it requires a special set of knowledge to design, deploy and maintain public clouds. That’s why an IT professional needs AWS certification. AWS certified professional get credibility for their AWS expertise and company can easily identify the skilled professionals to led in cloud computing. There are three levels of role based AWS certifications: Foundational level, Associate level and Professional level. Plus there are three specialty certifications: AWS certified security, AWS certified Big Data, AWS certified Advanced Networking certifications. It validates basic skills, knowledge and understanding of AWS cloud. It also act as prerequisite for specialty certifications or associate level. It is fully technical AWS role based certification. There is no prerequisite for this certification. It is the highest level of role based AWS certification. Associate level of certifications act as prerequisite for this level. Prerequisite: At least 6 months of Cloud experience is recommended. This exam validates candidate ability to architect and deploy secure applications on AWS technologies. Candidates are expected to design architectural principle to define a solution based on client’s requirements. This exam enables you to develop and maintain applications on AWS platform. Prerequisite: At least one year experience in designing and maintaining AWS based applications. You should have at least one high level programming language knowledge. This exam enables you to deploy, manage and operations on AWS platform. According to the Global Knowledge IT skills and salary report 2017, AWS certifications are hottest technical certifications with highest demands and highest salary opportunity worldwide. Having AWS certification, you have such a demanding and profitable certification which industry required. AWS certifications known for its hands-on experience and best lab practices of a candidate. Becoming an AWS certified itself a guarantee for best career in IT with great salary package. These days enterprises are shifting their applications to cloud and in next five years approx all companies will be shifted completely on to the cloud platform. So, industry needs certified professionals who can able to work on cloud platform. Today, there is huge lack of AWS certified professionals globally. You can take the advantage of this huge gap between industry needs and certification. Go ahead and be a certified AWS cloud professional. From Where I Should Do AWS Certification Training? UniNets is leading networking training institute offer best AWS certification training in India. Our trainers and lab facilities are world class. Our designed training program is based on exam syllabus and concepts. Our certified and highly experienced trainers will transfer the cloud computing skills and knowledge to their students. We believe in only hands-on lab training, so we are equipped with world most smart virtual labs which are fast accessible and cost effective. Come to UniNets and take a demo class and decide yourself. career scope of AWS certification in 2018, How to Become an AWS Certified, scope of AWS certification in 2018, What is AWS CERTIFICATION? Is Cisco CCNA Certification Course is Beneficial for Network Professionals? What are Cisco CCNA, CCNP and CCIE Exam Fees in India to get Certifications? UniNets has emerged as one of the best networking institute in terms of faculty, placement and approach. Our aim is to develop you as our brand ambassador who could become a building block of this Internet world.